Few things are as irritating than an itch that will not go away. An itch is an urge to scratch the skin, which can be isolated to one area or all over the body. There are several reasons you could be itching: hives, allergies, dry skin, and inflammatory skin conditions such as eczema. Generally, itches isolated to one area are easier to treat than all over itchiness. Itchiness accompanied by a skin condition or any other abnormality should be checked out by your physician. If you are itching is the result of another cause, it may be accompanied by other signs and symptoms. Itching is commonly associated with dermal symptoms such as redness, bumps, blisters, rash, and skin lesions. Itching of the skin may also be the result of dry skin. Scratching the skin can lead to tearing and further infection, so be careful. Skin itchiness may also be the underlying cause of a serious medical condition. If you believe this is the case, see your physician immediately. Allergies from the environment, clothing, cosmetics, etc. We mostly know it as plain old itching, but the medical term for itchy skin is pruritis. There are an almost endless list of causes for itching. Some of the most common include sun damage, allergi reaction, chronic skin conditions like psoriasis and eczema, infections and bug bites. Itching is often treated with lotions or creams containing menthol or camphor. Some more serious cases of itching may require corticosteroid medications. Various essential oils can help relieve your itching and have far less risk of adverse side effects than prescription medications. 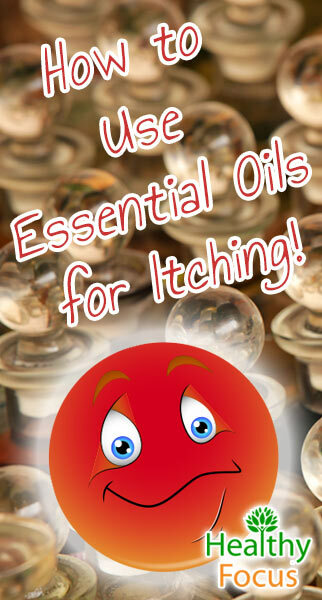 This article will take a detailed look at the best essential oils to treat itching and help you learn how to use them. You should try your best not to scracth your skin as this may well make the condition even worse and may even lead to a bacterial infection. If your itching persists or gets worse you should consult a medical professional to rule out any underlying causes. Fortunately, there are several essential oils you can use to get rid of that pesky itch. Mixed with a carrier oil, massage these oils onto the affected area to get immediate relief. This soothing floral essential oil is a great solution for itchy skin. Irritated skin that is dry and itchy will immediately calm down once you apply this healing oil. If you are suffering from scalp itch, this essential oil is a safe choice. You can buy Chamomile essential Oil here. Steam distilled from palmarosa grass, this fresh smelling essential oil addresses many skincare concerns. Commonly used in commercial skincare products, palmarosa essential oil alleviates irritated and itching skin. Those suffering from painful inflammation ill also find relief. Palmarosa also doubles as an anti-aging agent, helping your skin to maintain a youthful appearance. This woodsy and warm essential oil is suitable for all skin type and helps address many skin conditions. As mentioned above, itching can occur for any old reason, and nasty razor burn is one common culprit. Fortunately, if your legs or face have become irritated from shaving, this soothing essential oil will get rid of those little red bumps and soothes itchy inflammation. Suffering from allergies or an itchy scalp? Reach for this sunny citrus oil. Lemon essential oil soothes inflammation and helps reduce allergic reactions affecting the skin. This healing oil contains anti-fungal, antibacterial, and antiseptic properties that will kill any itch-inducing bacteria on the skin. Lemon essential oil works great on its own, or for a powerhouse anti-itching blend, mix with peppermint and lavender essential oil. Lavender is a popular essential oil and a must have in any medicine cabinet. Chock full of anti-fungal and antibacterial properties, this healing oil will kill any fungus or bacteria responsible for itchy skin conditions. Those suffering from eczema, scabies, shingles, and even scalp itch will find immediate relief with lavender essential oil. If you’re suffering from itchy bug bites or need a natural insect repellent, this floral essential oil is for you. Mix with a bit of baking soda and you will have immediate relief for your itchy bug bites. This anti-inflammatory oil calms down irritated skin while its regenerating properties encourage the growth of healthy new skin cells. Geranium essential oil also helps expedite the healing process of wounds and skin irritations. This cooling oil will help stop the itch immediately. This minty oil is a pain relief, antiseptic, and anti-inflammatory, addressing many skin conditions that can lead to irritating itching. Those suffering from some rashes and redness will find that peppermint essential oil takes care of these problems lickety-split. This soothing oil is also great for taking care of skin irritations associated with poison ivy and poison oak. Can you put peppermint oil directly on your skin? Juniper essential oil is an anti-inflammatory that is great for treating skin conditions such as psoriasis and eczema. This healing essential oil will help get rid of those dry, itchy patches of skin on the double. Rosemary essential oil is another great remedy for a dry, itchy scalp. This fragrant, woodsy essential oil is an effective antifungal and antibacterial, killing any microbes responsible for itchy, inflammation of sensitive skin. Add a couple drops of this anti-itch oil to your shampoo to help promote a lustrous mane and a healthy scalp. 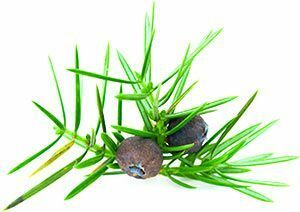 Rosemary essential oil also helps heal rough patches of skin and reduces the scaly appearance characteristic of dermatitis, eczema, and psoriasis. If you want to prevent the possibility of itchy bug bites, rosemary essential oil is a great alternative insect repellant. Help stop the itch with this earthy essential oil. Patchouli essential oil prevents insect infestations such as scabies, lice, fleas, and mosquitos. This antiseptic oil is also a fungicide, killing any fungus responsible for fungal infections such as jock itch and athlete’s foot. Patchouli essential oil is also considered a great remedy for eczema. Myrrh essential oil is perfect for skin conditions that lead to dry, chapped, itchy skin. Use myrrh if you’re suffering from eczema or a fungal infection. Hives, which is characterized by itchy, raised, red bumps on the skin is easily treated with myrrh essential oil. Tea tree essential oil is commonly used to treat skin conditions and ailments. This medicinal oil is especially beneficial to those looking to soothe skin conditions associated with itchiness. Loaded with antifungal, antibacterial, antifungal, and antiseptic properties, tea tree oil can address the whole gamut of skin ailments. From psoriasis to jock itch, this essential oil has you covered. Tea tree oil also leaves a healing protective shield on your skin, protecting you from further infection. There are various ways that you can use your essential oils to relieve itchiness and reduce redness and rashes on your skin. It is important to keep the body cool so bathing frequently in fairly cool water is essential. Avoiding the sun especially if you live in a hot humid area will also help a great deal but is sometimes easier said than done. To make your soak even more soothing and help ease irritation give your bathwater an essential oil boost. Add five or six drops of your chosen essential oil to the bathwater and soak for at least 20 minutes each day. Any combination of the oils listed above will work wonders but don’t worry if you only have one of them; you can happily use the oil at your disposal as a standalone treatment. You should always dilute your essential oils with a suitable type of carrier oil before applying it to your skin. Some oils like lavender are considered to be milder and are sometimes applied neat but it is always best to veer on the side of caution to eliminate the risk of an adverse reaction. If you have never used a particular essential oil before then you would be wise to do a patch test on a small area of skin before going ahead with the proper dose. A nice cold compress infused with healing essential oils will help soothe itching and irritation and help treat redness and rash. It is very easy to make a cold compress to treat your skin. Add a pint or so of very cold refrigerated or iced water to a container and then add four or five drops of your chosen essential oil or oil combination. Next place your towel onto the surface of the water allowing it to soak in thoroughly. Remove the towel and wring out the excess water, fold and apply it like a bandage to the affected area of your skin. Hold the compress in place for a minimum of 15 minutes to help soothe your itchiness and reduce the swelling and redness of your rash. For very young children who are experiencing heat rash or diaper rash, a combination of lavender essential oil and baking soda can work wonders. For children under two years of age, add 3 drops of lavender essential oil and a tablespoon of virgin coconut oil to a quarter cup of baking soda and mix well. Make sure that your child’s skin is completely dry before applying the mixture to the affected area paying extra attention to the folds if the skin. For older children or adults, you can increase the amount of oil and baking soda that you use. If you are as clumsy with a razor as I am, you will be familiar with irritation and rashes caused by shaving. Essential oils are a great remedy for shaving rashes, especially when combined with a soothing base oil like coconut oil. Many essential oils are highly antibacterial in nature and can also prevent your rash developing an infection especially when the skin is damaged. Combine a few drops of lavender, peppermint or tea tree oil to a suitable amount of coconut oil and then apply it gently to the affected area of your neck, legs or armpits. A cold compress can be equally effective if you have the time to spare. When diluting your essential oils with a carrier oil, it is important to choose a carrier oil that will not further irritate your skin. Many of these carrier oils are rich in nutrients, vitamins and fatty acids. Jojoba Oil: If you are suffering from dry skin, this golden oil moisturizes and softens chapped dry skin. Castor Oil: This anti-inflammatory and antibacterial oil soothes chapped skin and provides necessary moisture. Avocado Oil: Rich in vitamins, avocado oil helps essential oils blend easily into the skin. Macadamia Oil: Macadamia oil contains the compound palmitoleic acid, which mimics oil excreted in young skin. Use this carrier oil if you want to bring moisturized balance to your skin. Coconut Oil: Coconut oil is full of fatty acids to moisturize the skin. This nourishing oil also contains antibacterial, antiviral, and antifungal properties that will help fight any skin condition causing skin itchiness. Aloe Vera Gel: Although not an oil, aloe vera gel is a great carrier. This soothing gel not only heals the skin, but it also brings moisture and brings immediate relief to itching. Keep this gel in the refrigerator for an extra cool healing treat. There are many possible causes for itchy skin. Some of the most common are allergies, sunburn, dry skin, emotional distress and insect bites. Itching may also be caused bu skin infections like jock itch, psoriasis or hves. Which essential oil is best for itching? The answer to that question is not cut and dried. Many esswntial oils can soothe itching because of their amazing properties. 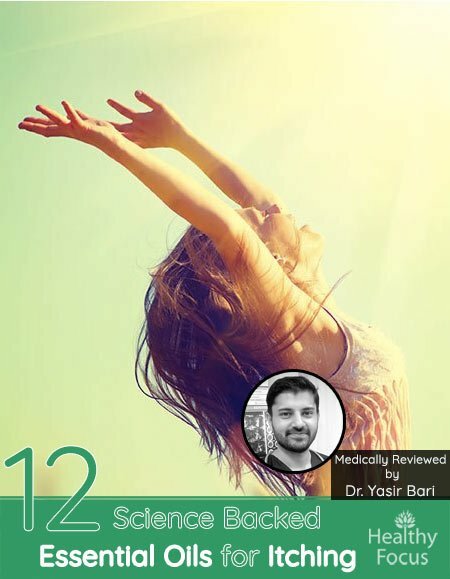 Some of the most popular are lavender, tea tree, chamomile and geranium essential oils but there are many more as you can see from this article. Which essential oil is good for skin rashes? Applying various essential oils to the skin can help treat a number of types of rash. Some of the best essential ois for a rash include lavender, rose and geranium oil. makes sure that you dilute your essential oils with a skin friendly carrier oil like coconut oil or jojoba and apply it to your rash two or three times each day. Can essential oils cause skin irritation? Certain essential oils are know to cause skin irritation in sensitive people. It is very important that you dilute your essential oil in a carrier oil before applying it to your skin. Even after you have diluted your oil, it is good practice to perform a patch test on a discrete area of skin before applying it to a larger area. Can stress cause a rash? Yes it can. Stress is known to be one of the triggers of a hives outbreak. Hives is a common condition that is characterized by raised, red welts that can itch quite badly. A number of essential oils can offer great relief from itching whether it was caused by a bite, an allergy or a skin infection. We hope that this article helps you to make an informed choice and hope that it helps clear up your itching safely and effectively. If you have had success using essential oils for itching, please let us know about it. We would be delighted to hear from you.